Get your projects done more quickly and easily without a power cord to limit your movement! 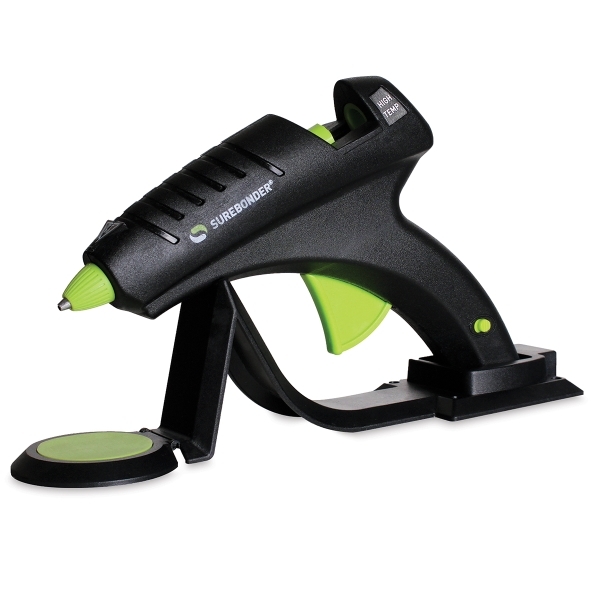 The Surebonder Cordless Heavy-Duty 60W Glue Gun is ideal for craft, floral, and do-it-yourself projects. Operating at 380°F (193°C), its higher temperature offers greater liquidity and better bonding to metal, wood, ceramics, leather, and other porous and non-porous materials. You can use the gun for 5–7 minutes before it needs to be reheated on the charging base, which is equipped with a drip pad to help keep your workspace neater. Other features include an on/off switch, an insulated nozzle, and an automatic shutoff function that prevents the gun from overheating. Use the Surebonder Cordless Heavy-Duty 60W Glue Gun with standard 7/16" diameter glue sticks (sold separately).